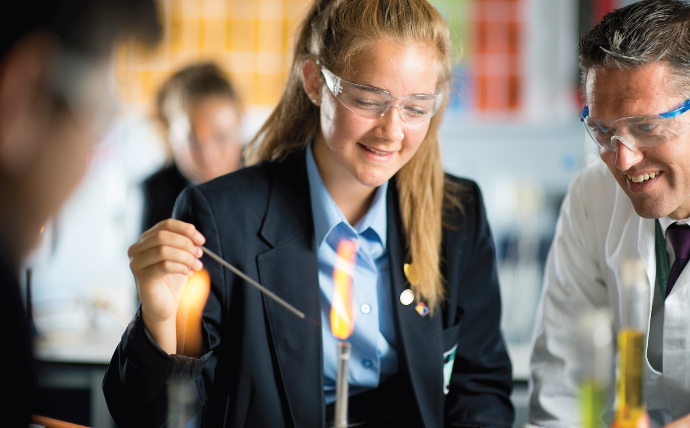 All students study science from year 7 and throughout each academic year will develop their understanding in biology, chemistry and physics. During KS4 all students study Science and will achieve 2 GCSE grades. The science GCSE will prepare students to be scientifically literate and develop skills such as problem solving. Students also have the option to study each science separately to gain 3 GCSE. Within the science department, we aim to guide the students through the various elements of the science curriculum to provide a strong foundation of knowledge and skills. This enables the students to pursue their future goals in any direction they choose. Our curriculum designed to enrich their knowledge and passion for Science through understanding its impact and influence, locally, nationally and globally. Its gives all students a better understanding of the world we live in. Whilst we focus and drive success during their time here, we also promote and support independent enquiry skills and the moral and social implications of Science, in order to develop our students holistically. The Activate course is designed to match the new key stage 3 programme of study and to help prepare students for success in their GCSEs. It has a flexible route of study with an engaging and contemporary approach to Science. Pupils will be actively involved in lessons incorporating practical’s, maths and literacy along with fun facts, quizzes and questions to engage students. In year 7 students will study topics such as cells, structure and functions of body systems, reactions, particles and their behaviour, forces and space. In year 8 students will study topics such as health and lifestyle, ecosystems, the Earth, the periodic table and energy. All students study science at GCSE. All students are required to study either – Combined Science Trilogy which awards 2 GCSE’s, or students can take the option to take Triple Science students will achieve 3 GCSE’s, one in each of the separate sciences. Students studying Combined Science: Trilogy will cover the three science disciplines in the traditional fashion. Combined Science takes a logical and coherent journey through the familiar and new content. Practicals are essential for students’ understanding of scientific theory. There are 16 required practical’s that students must study for the exams. Six papers: two biology, two chemistry and two physics. Studying the separate sciences means students will achieve 3 Science GCSE’s. The students will cover the same topics as in Trilogy but in much greater detail, therefore there is more content. GCSE Biology, Chemistry and Physics will provide great preparation for AS and A-level, without overlapping content. We run a variety of different trips during the year- ranging from STEAM focused trips to local Universities, a forces focused trip to Paulton’s Park for year 7 students, and a Space and engineering focused trip for year 8 students to Winchester Science Centre and Planetarium. The dates of these vary every year, and new opportunities to enrich the students learning come up all of the time. We will endeavour to provide these activities for the students whenever possible.